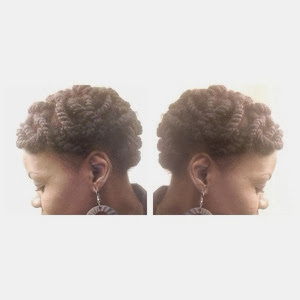 So after clarifying and doing a henna treatment, I wanted a simple protective style that would last for 7-10 days. I also did not want to use extensions. In fact, I am on a "no-extensions" challenge. 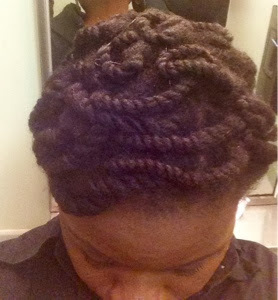 Using extensions as a form of protective style has helped me to retain length. However I need to let my scalp and hair rest from the extensions for the rest of the month. Also, you tend to get used to extensions and comfortable in them if your hair is not full. I am trying to avoid that because I do love my hair. With that stated, stay tuned for the video not just for the style but tips on masking the thinness of fine hair as well. Looks very nice! And it looks full! Thank you! Yes it does look full as I did not apply tons of products like I used to. i like this. cant wait for the vid cos when i do twists i tend to just pull them in a ponytail holder. doubt thats all that good but its what i come up with. Thank you! Be careful with the ponytail holder, in fact, with all styling tools. Too much of those can be too much manipulation for our hair. Even with this style, I did not keep the bobby pins in for a long time because they can be damaging. Very nice twistage. I found myself saying "Ooohhh!!" JW.... Your comments always make me smile. Thanks for the love! Simply gorgeous style, can't wait for tutorial! Thank you MPB... I am working on the editing and should have it up soon. This looks beautiful and is very full. Did I miss the tutorial? 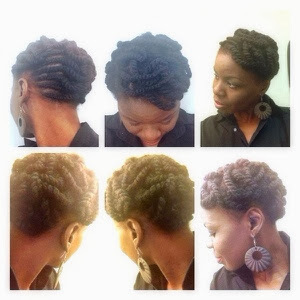 You are so inspirational and I love trying to my hair like yours....this style you have here is a must try !!!! Also, thanks for representing women with a texture similar to yours.